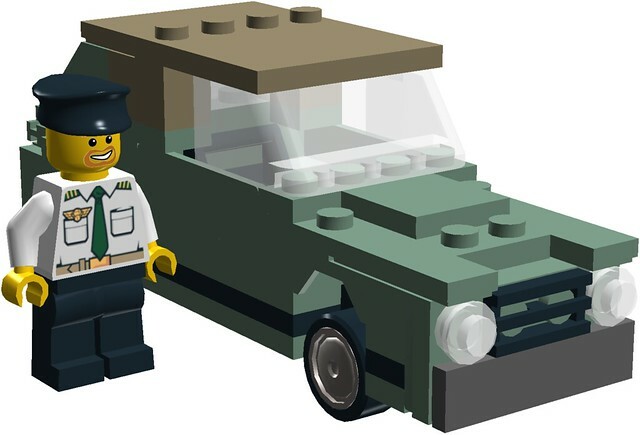 after much editing and modifying, this car can now fit a mini-figure in it: I just tested it in Lego Digital Designer. Here we see the car with it's owner, Admiral Oswald Lyons, who happens to reside on my futuristic space base with my Imperial gray scale set 9515: "the Malevolence" inspired space ship, the Nevermore. But today he's just about town in his vintage Army car. 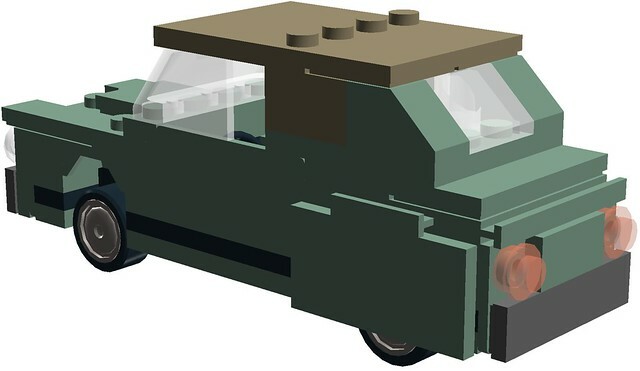 As you can see, the car features covered rear wheels and a removable roof to place a figure inside. Their are missing prints in the LDD file that are detailed i this photo. 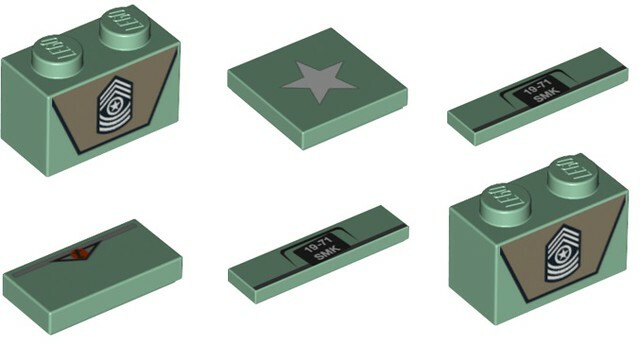 They are supposed to be placed as follows: The two sand green 1x2 bricks go on the sides where the dark tan bricks are, while the sand green 1x4 tiles go where the dark bluish gray tiles are. The car maker logo is to be placed on the trunk, while the star goes on the hood. NOTE: their are 7 pages of 50 items each on this tab, but I'm pretty sure you can find these parts by the picture above and cross referencing it with Brick Link. ALSO: Their are two parts that are double in quantity, so their picture appears twice instead of once. NOTES: I will probably will build this soon, most likely during / right after May, so watch this space for real life pictures either in mid - May or early June! Looks great, could probably be modified to suit other cars of the time period too. Good idea, I never thought of that! That would be awesome.... too bad it probably isn't physically possible with current colors!